No matter where we look in the World today, we see evil: in our neighborhoods, our businesses, our cities, our states, and pretty much throughout our country. Very few disagree that evil lives among us. But many of us see the evil acts taken by people and we automatically think — and sometimes say — “That person is evil.” Who can discount the fact that Adam Lanza (Sandy Hook School shooter), Seung-Hui Cho (Virginia Tech massacre), Omar Mateen (Orlando Nightclub), Stephen Paddock (Las Vegas), Timothy McVeigh (Oklahoma City) did not commit some of the most heinous acts in human history? No doubt those mass killings were pure evil. But were the people who committed those “evil” themselves or were just their ACTS of murder evil? Does/Can evil do evil by itself? Can a person — a human being — actually be evil themselves? Since World War II, moral, political, and legal philosophers have become increasingly interested in the concept of evil. 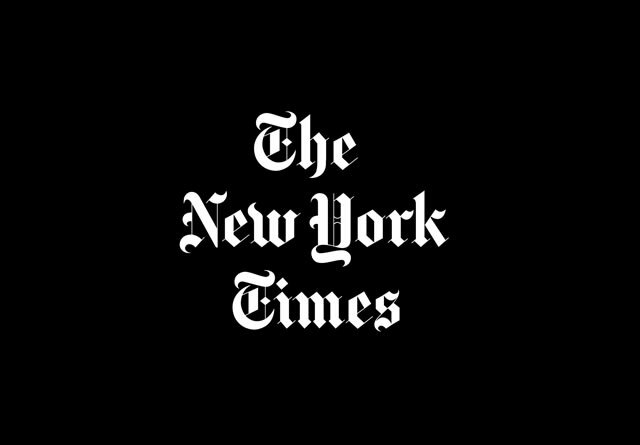 This interest has been partly motivated by definitions of “evil” by laymen, social scientists, journalists, and politicians as they try to understand and respond to various atrocities and horrors, such as genocides, terrorist attacks, mass murders, and tortures and killing sprees by psychopathic serial killers. It seems that we cannot capture the moral significance of these actions and their perpetrators by calling them “wrong” or “bad” or even “very very wrong” or “very very bad.” We need the concept of evil. To avoid confusion, it is important to note that there are at least two concepts of evil: a broad concept and a narrow concept. The broad concept picks out any bad state of affairs, wrongful action, or character flaw. The suffering of a toothache is evil in the broad sense as is a white lie. Evil in the broad sense has been divided into two categories: natural evil and moral evil. Natural evils are bad states of affairs which do not result from the intentions or negligence of moral agents. Hurricanes and toothaches are examples of natural evils. By contrast, moral evils do result from the intentions or negligence of moral agents. Murder and lying are examples of moral evils. One school of thought holds that no person is evil and that only acts may be properly considered evil. Psychologist and mediator Marshall Rosenberg claims that the root of violence is the very concept of evil or badness. When we label someone as “bad” or “evil,” Rosenberg claims, it invokes the desire to punish or inflict pain. It also makes it easy for us to turn off our feelings towards the person we are harming. He cites the use of language in Nazi Germany as being a key to how the German people were able to do things to other human beings that they normally would not do. He links the concept of evil to our judicial system, which seeks to create justice via punishment—punitive justice—punishing acts that are seen as bad or wrong. He contrasts this approach with what he found in cultures where the idea of evil was non-existent. In such cultures when someone harms another person, they are believed to be out of harmony with themselves and their community, are seen as sick or ill and measures are taken to restore them to a sense of harmonious relations with themselves and others. Psychologist Albert Ellis agrees, in his school of psychology called Rational Emotive Behavioral Therapy. He says the root of anger, and the desire to harm someone, is almost always related to variations of beliefs about other human beings. He further claims that without holding those beliefs and assumptions, the tendency to resort to violence in most cases is less likely. American psychiatrist M. Scott Peck, on the other hand, describes evil as militant ignorance. The original Judeo-Christian concept of sin is as a process that leads one to miss the mark and not achieve perfection. Peck argues that while most people are conscious of this at least on some level, those that are evil actively and militantly refuse this consciousness. Peck describes evil as a malignant type of self-righteousness which results in a projection of evil onto selected specific innocent victims (often children or other people in relatively powerless positions). Peck considers those he calls evil to be attempting to escape and hide from their own conscience (through self-deception) and views this as being quite distinct from the apparent absence of conscience evident in sociopaths. For horror movie fans, Michael Myers is the epitome of evil. Millions have looked in since the mid-70’s to Jamie Lee Curtis‘ character through multiple episodes tried to elude the non-stop attempts of her brother Micheal to murder her in their hometown of Haddenfield. Michael in the Halloween series is a psychopath who continually escapes from mental institutions to hunt down his sister. In the process, he brutally murders dozens of unwitting innocents, but never is successful at offing his sister. The “Michael Myers” character magnifies the thought that there can be and are people who are literally evil themselves. Whether or not people ARE evil, when the perception of others is that someone is not simply committing evil acts when they slaughter innocents but those acts happen because that person IS evil themselves, thinking that people ARE evil can become fundamental. And when perceptually labeling someone as evil, those perceptions, and decisions made from those, frame the mental and emotional foundation of that person. That opens a human nature can of worms. The former member of Congress who is a doctor, a former presidential candidate, former Democrat National Committee Chair, is a vocal anti-Trump pundit. In a recent MSNBC interview with several other guests, Dean illustrated how our today conversation about people being evil or people simply EMBRACING evil are viewed differently. Guess which way Dean applies “evil” to the President? Dean has in his opinion of President Trump taken the approach of not just assigning certain acts committed by the President as evil — Dean ascribes the President as evil. M. Scott Peck in his book People of the Lie: The Hope for Healing Human Evil, uses the example published by Erich Fromm in describing evil in people who had necrophilia — which is “Obsessive fascination with death and corpses.” Fromm added to that definition of necrophilia. He broadened the definition of necrophilia to include “the desire of certain people to control others-to make them controllable, to foster their dependency, to discourage their capacity to think for themselves, to diminish their unpredictability and originality, and to keep them in line.” Distinguishing it from a “biophilic” person — “One who appreciates and fosters the variety of life forms and the uniqueness of the individual” — he demonstrated a “necrophilic character type,” whose aim it is to avoid the inconvenience of life by transforming others into obedient automatons, robbing them of their humanity. Evil then, for the moment, is the force, residing either inside or outside of human beings, that seeks to kill life or liveliness. And goodness is its opposite. Goodness is that which promotes life and liveliness. Where to begin? Evil was introduced to the World in the Garden of Eden. Satan — who many will say is the embodiment of Evil itself — introduced Evil for the first time ever in human history. Adam and Eve were both Satan’s targets. It is much simpler for those who do NOT believe in Christianity or the Bible or certain parts of it to simply ascribe evil itself to people — not just acts people conduct from succumbing to evil. For humans who believe in God, that Jesus is God’s son, and that Jesus died to bear and forgive all of humanity’s sins (evil), it is makes much better sense to disassociate sin (evil) from the sinner and evil acts from the person who commits those evil acts. In other words, People are not evil — bad acts that people commit against others is evil. President Trump after the racial violence in Charlottesville made it clear he understands the difference. Instead of terming racist people at Charlottesville as “Evil,” he plainly stated that ALL “racism” is evil and that those that embrace racism embrace evil itself. The President did NOT say “racists are evil” — just their racism. Hopefully sharing the words, comments, definitions, and opinions of the “experts” on the subject of Evil did not bog you down. One thing is certain: in this vitriolic environment in our nation, it is imperative that Americans find a way to turn it down a notch or two. Americans must learn to recognize ACTS of evil do not necessarily happen at the hands of EVIL people. Rather, those acts are EVIL ACTS. Instead of letting anger at the evil acts or words of others morph into evil acts of violence, we must find ways to separate in our minds and hearts the acts from the people. Believing in ourselves that certain people ARE Evil dehumanizes them to us. Think about what that really means: subconsciously we are saying that a person is Evil itself and therefore has no hope for change, forgiveness for committing acts of evil, and therefore has no chance of reconciliation. Who are we to make such a determination about someone else…or even about ourselves? How can we accomplish this? The simplest way is to allow one’s personal relationship with God to intervene. How to do that? A “relationship” defines two-way give-and-take between two people. To develop and exist for some period of time, any relationship must be built on communication. A married couple that plans on spending a lifetime together must really know each other — the good AND the bad. How can they make that happen? In only one way: communication. A personal relationship with God is exactly the same. Communication to share thoughts and ideas, asking and getting answers to questions, reading what God has said through his prophets and leaders through the Bible — these are all ways to communicate with Him. Going to a church is a wonderful way to interact with others who have the same or similar spiritual ideas. But attending church — no matter how good the music or the sermon — cannot be a substitute for a relationship with God. A true relationship with God must have the same foundation of a relationship between two humans: understanding of each other that comes only through communication. For Americans to “turn it down a notch,” Americans need to find ways to communicate with each other on a personal basis rather than standing across towns and states, crying that others are Evil. Think about this: if someone feels that another person who has committed one of the horrible acts mentioned above is actually Evil in person, it is virtually impossible to find common ground or any hope of ever co-existing. In that instance, how can anyone expect for there to ever be any commonality or mutual understanding or respect to be developed? We MUST learn to separate “acts” of evil from those who commit evil. There’s a difference. We must find those differences, find our commonalities, and put anger and hatred initiated against us by others aside and push forward together. 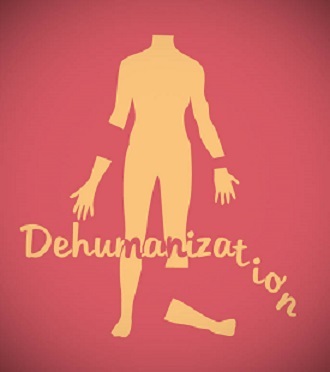 We must stop dehumanizing others by calling them Evil: Separate evil acts from the people who commit them. Seldom do we post stories from those other than our writers. However, my college Journalism advisor, Ron White, shared an extremely stirring and timely perspective written by Gerald F. Seib for the Wall Street Journal. We are sharing it with our extensive group of partners today. Enjoy! Regardless of the outcome of the midterm election, this much already has become clear: The battle for the soul of the Republican party is over, and President Trump has won. Now, as the second anniversary of his election approaches, both of those opposition fronts have crumbled. For Republicans, for better or for worse, it’s Mr. Trump’s more-populist party now. At the grass roots, Republicans have united behind Mr. Trump with surprising solidarity. In this campaign season, establishment GOP candidates have accepted his help and endorsement and, in many cases, mimicked his style and themes. The furious Democratic opposition to Supreme Court nominee Brett Kavanaugh has galvanized even many Republicans dubious about Mr. Trump. They see him as a flawed but preferable alternative to a Democratic Party they dislike and fear, and appear to regard him as a useful shield against it. Perhaps most surprising, conservatives who disdained Mr. Trump and considered his views on trade, immigration and national security to be heretical are increasingly drifting toward him. In one leading indicator, two conservative writers critical of Mr. Trump—Max Boot and Jennifer Rubin—have in recent days been attacked by other conservatives for their views. Frank Luntz, a Republican pollster who conducts frequent focus groups with voters around the country, says he also has been observing conservatives coalescing behind Mr. Trump—and bending to his policies. Signs of this Trump dominance and conservative acquiescence are woven throughout a new Wall Street Journal/NBC News poll. Among Republican voters overall, Mr. Trump has an 87% job approval rating. Among voters who describe themselves as conservatives, his job approval rating is virtually identical at 85%. Eight in 10 conservatives have positive feelings toward the president; by contrast, only 42% have positive views of Senate Majority Leader Mitch McConnell, largely responsible for placing dozens of new conservative judges on the federal bench. In an indication that conservatives are adapting to Trump policies, 74% say Republicans are better than are Democrats at handling trade, and 70% say the same about immigration. The question is how Mr. Trump, who as a candidate was openly critical of party leaders and conservative activists, has managed to establish this grip. It isn’t necessarily because Republicans like his demeanor. In fact, many still are offended by that style. A third of Republicans say they don’t like Mr. Trump personally but approve of most of his policies. Part of the embrace of Mr. Trump undoubtedly comes because the economy is humming along so well; Republicans are inclined to give him credit for that, and they want to be part of the trend. Mr. Luntz says the Kavanaugh fight in particular made Republicans who had been put off by the president’s anger and insulting style begin to embrace those characteristics. “They have bought into Trump’s claim that nothing else works,” he says. Among conservatives, Mr. Wehner says, the move back toward Mr. Trump has come at least in part because the price of fighting him has been high. “There were people willing early on to take him on and they got smashed and hammered at the base of the party and they shut up,” he says. The party’s embrace of Mr. Trump is risky. The president isn’t just disliked but disliked intensely by a wide swath of Americans, who may be repelled by a party so closely linked to him. Mr. Trump also is pushing the GOP away from some positions that have defined Republicanism for decades, particularly on trade and internationalism. That will sow doubts among some past party members, including some in the business community, and compel a re-examination of what it means to be a Republican. It’s also possible, of course, that this embrace is temporary, and will evaporate if the economy goes south and the party’s fortunes suffer. Tamp it Down, Mr. President! With the arrest of the apparent bomb-maker of those bombs sent to 13 Democrat current and former politicians and to actor Robert DeNiro, the “speech police” immediately turned up the volume on their attacks of “Trump-Speech.” Congresswoman Maxine Waters (D-CA) actually demanded that the President accept personal blame for the bombs, stating the bombs being mailed was a direct result of the President’s rhetoric. I, for one, have written numerous times and included in our podcasts that I would like for him to soften his rhetoric. I’ve stated that I do not like his messaging, but on the most part I like his messages. The political environment in the U.S. has morphed dramatically during the last decade. So has messaging methodology in the U.S. and around the world. Social Media has given everyone an easy outlet in which to share thoughts — often without restraint. Years ago on a college sports bulletin board, I labeled those that anonymously posted (no real names were required to post) who wrote nothing but non-stop attacks against that college’s sports teams as “drive-by shooters.” My doing so created quite a stir. How dare I label someone who was simply expressing their opinions? Think about this: having the ability to say anything with no restraint, no measure of truth or accuracy, and with no accountability opens Pandora’s box to unimaginable possibilities to fuel chaos. Anyone can say anything — and usually do. What about him? Everyone knows he’s from Queens, which is a pretty rough borough to live in. Folks there are known to be a little cruder than Manhattan-ers who call th Upper East Side home. It’s a very blue collar part of the Big Apple. Trump grew up in that environment, but was a little different. His father was a fairly successful real estate developer. As real estate developers do, Trump’s father made some bad business decisions along with some pretty good ones. Trump learned his profession while watching the good and bad of the NYC real estate market by watching home runs but also the strikeouts of his father. In New York, real estate development is more prone to failure than to hitting the “big” one. Professionally, Trump learned early how to maneuver through complicated business circles in NYC and used his upbringing as a major contributor to the way he operated in commercial real estate. That upbringing brought him abrasiveness, sometimes caustic rhetoric, and an intense commitment to entrepreneurship in one of the toughest industries in American in the toughest commercial real estate market in the U.S.
Trump has only been in politics for about 3 years. It should have come as no surprise to anyone that he brought all of that Queens “business” education with him. Many in America simply do not understand Mr. Trump. They dismiss all that “Queens” stuff, demanding that Trump act “presidential.” The problem is, acting presidential is what most previous presidents did — especially the last 4 of them. Doing so, Donald knew that while making many Americans feel warm and fuzzy, the only way Americans would elect him was if he continuously acted himself during the run up to the election. That meant the rough edges, crassness, boldness and lack of tact that had been his “partners” during his very successful business career would have to sit next to him flying in his personal Boeing 757 between campaign events. They’d have to be on stage with him and speak through him to his fellow Americans. Donald Trump recognized that those Bi-Coastal, Potomac political elitists would in NO way support him. But he knew one more thing: the middle-class, fly-over Americans who had not had a president that supported them, understood their lives and their businesses, and had never pushed for things middle American voters had been crying for for years would understand him. His hope was as he spoke to them at these unconventional campaign rallies, they would see his heart, relate to his rough exterior, understand his Queens way of speaking, and would listen to what he promised he would do if elected. They related to him…they believed his promises…they voted for him…and he won. Trump knew that if he DID walk away from all those characteristics Americans saw in him, his speech delivery, his resistance to “traditional” politics and politicians and their elitism, those middle class Americans who live in fly-over country would abandon him. He desperately believed in the America of his youth, and he believed Americans deserved much more from their government than what they were receiving. He knew he must stick to who he really was. And he’s done so. That’s a big reason why his approval ratings among the public are higher than those of Obama at either of HIS two midterm election marks. I’m certain he could change his messaging, could cancel his Twitter account, could go lighter on the press and the Hollywood elites, on mainstream politicians, and Democrats. He certainly could tamp it down. So why doesn’t he? That answer is really simple and REALLY important. More important than the opinions of the political elitists in D.C., New York, Chicago, Miami, and Los Angeles are the opinions of 60+ million Americans who voted for him in 2016 because of one thing and one thing only: Donald Trump says publicly the exact things that the large majority of those voters wish they were saying. They feel exactly the same ways his tweets, interviews, and rally speeches portray his feelings! And one more thing: THEY TRUST HIM! Here’s the most important understanding of how Donald Trump is governing: his fundamental operating foundation is trust — trust from those who he works with, and his trust of all those he works with and works for. 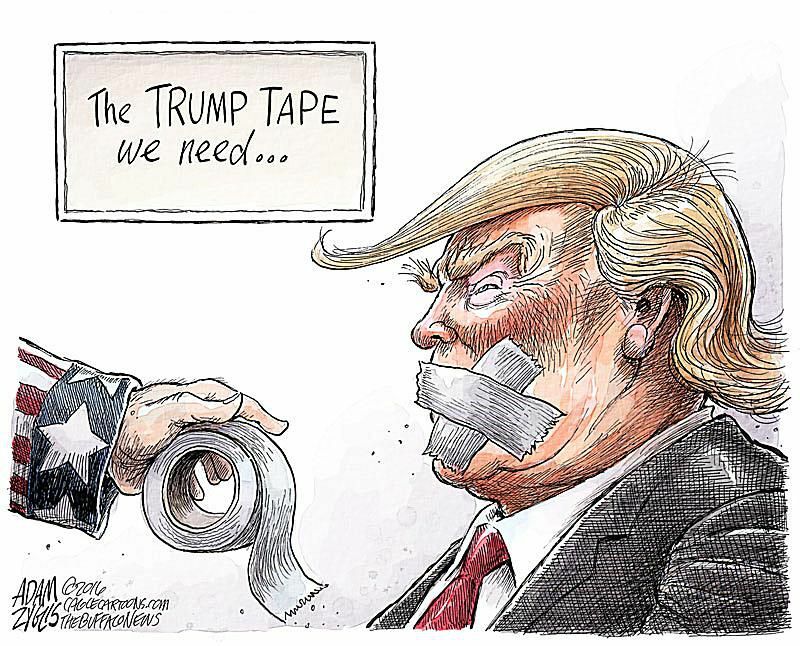 In this case, the trust he must have is that of American voters. How can any politician gain that trust of his supporters? By fulfilling his promises — every one of them. Trump made quite a few promises that many felt were outlandish while campaigning. Some of them indeed were outlandish, in my opinion. But in the opinions of fly-over Americans, their desperation at the hand of the 3 previous two-term presidents, and Trump’s matter-of-fact messaging struck a tone that they had never heard before. Every presidential candidate makes many promises. Few deliver after their inauguration. Voters were hopeful Trump would be different. And he has confirmed their hopes and has earned their trust by doing those exact things he promised to do. Folks, his messaging methodology is pre-meditated and elaborately planned! Understand this: at 5:00 AM every day, newspaper writers, editors, television producers and political reporters all are awakened by their alarm clocks. They must get going, turn on the television or radio, and open their Twitter accounts. Why? THE PRESIDENT WITH HIS FIRST TWEETS SETS THE NEWS-TONE FOR EACH DAY…HE DIRECTS THAT DAY’S STORYLINE FROM HIS TWITTER ACCOUNT! The most dangerous and deadly thing President Trump could do is change his messaging, the way he speaks to people (especially those in his base), and edits in any way the way he speaks about and to the numerous political opponents he has. He has in just two short years compiled MORE support amount his base and has expanded his base wider than Obama or Bush 43 were able to do. How so? HE PROVIDES RESULTS! November 6, 2018, is approaching. What is going to happen? Will the Republicans succeed in holding the House and Senate? Will Democrats take control of the House or maybe the Senate, too? Will Republicans add more House seats than they lose? We’re not prone to make election predictions. But today we do: Republicans will either maintain their majority in the House or increase it, and they will expand their majority in the Senate. I know, that’s bold. 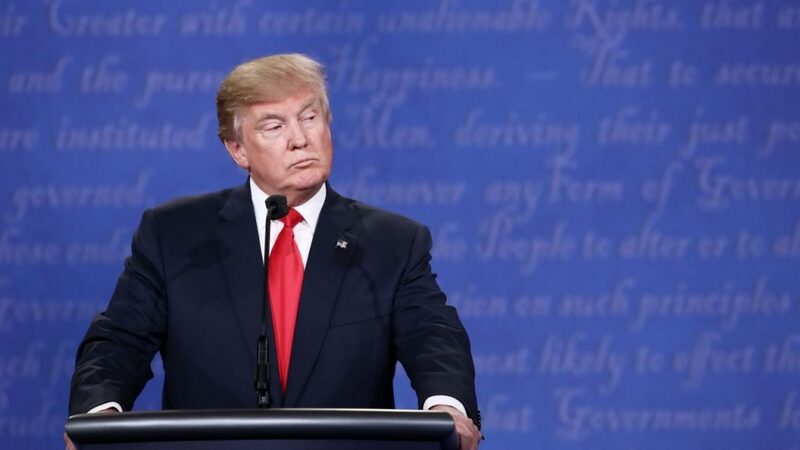 But TruthNewsNetwork is taking a page from Donald Trump’s operating manual and bucking the traditional: “the president’s party always loses House seats in his first mid-term election” — and predicting Americans who have watched all the good things that this President has accomplished in just two years will give him the things he’s asked for to enable him to complete his promises to them: a greater Senate majority and maintain House control for Republicans. Sure, this could be a miscalculation. Sure, Dems could win control in one or both of the houses of Congress. But D.C. is a different place with different rules now. There’s a new sheriff in town. And he’s broken tradition, tried some different things, and they have worked and are working — FOR AMERICAN VOTERS. That’s what will win: not the empty promises and untruths from the previous president. Americans are not stupid. Americans know what empty promises sound like, especially when compared to fulfilled promises. Today’s story doesn’t work as a podcast: it’s totally visual. Watch this video and when finished we’ll talk. Perspective of any situation can drastically change the way people view that situation. The current American “debacle of the decade” is immigration. The Left has even narrowed that debacle to no longer be just immigration, but now it’s ILLEGAL immigration, too. Illegal immigrants have all the same rights as any and all American citizens. American laws do not matter when it comes to all things dealing with immigration. It does not matter when, where, or how illegals arrive in the U.S. Their doing so — which obviously breaks multiple federal laws — is to be overlooked by law enforcement officials, members of local, state, and federal governments, and all Americans. It seems to many that liberal Americans — Democrats and other liberals — believe the “rule of law” in America is outdated, unfair, and no longer necessary and that it is OK to simply ignore. Of course, those same Americans want to selectively decide which laws apply to whom and when, in total disregard of the lawmaking process. Nowhere else is this more obvious than in the immigration process. It is amazing to the majority of Americans to watch as even members of government wink at illegal immigration and all the endangerment allowing it to continue causes Americans on a local level. Laws are meaningless. In the “gumball” video, we see exactly how feeling obligated to and then trying to “fix” immigration World problems by opening U.S. borders to all can in no way can even touch the problems of billions of world citizens. No country on Earth has the ability or the resources to effectively impact the problems of most of Earth’s population. Does believing that make Americans evil? Is it evil for Americans to refuse to accept the “no-border concept” as one we should adopt? Are Americans who insist on legal immigration and demand the federal government close our borders and stop ALL illegal immigration racist? There are millions of political elites in the U.S. that categorically believe allowing only legal immigration is wrong, and that doing so is America shirking its responsibilities to “give” the U.S. to any and all who ask for it. But how can anyone believe that and still believe in America? The entirety of the American concept and ideal is based on “liberty and justice for all,” the “rule of law,” and the U.S. Constitution as a roadmap for the establishment and maintenance of a system of laws that treat ALL people fairly and equally. In fact, the U.S. Supreme Court has ruled that the laws and provisions in the U.S. Constitution that detail Americans rights apply equally to everyone — even those who are NOT Americans. There are no easy immigration answers. But there ARE American legal, Constitutional, and lawful answers for “illegal” immigration. Who is responsible for the regulation of immigration? Regulation of anything cannot happen without rules (or regulations) that are devised, implemented, and supervised by someone. In the U.S., there’s not just one person or one group that is responsible for this process. It takes the entirety of government. Congress write and implement laws. The Executive Branch implements and operates laws. In the event of legal disputes, the Judicial System oversees the legalities of laws and the implementation of any Congressional penalties for violation of laws. That process includes courts, judges, a penal system, and the operation of every piece of the legal process. That is simple enough. Why can’t many in the U.S. simply accept and abide by the process? THAT is simple: it’s a consuming quest for power and all that it takes to acquire and maintain as much power and might as possible. 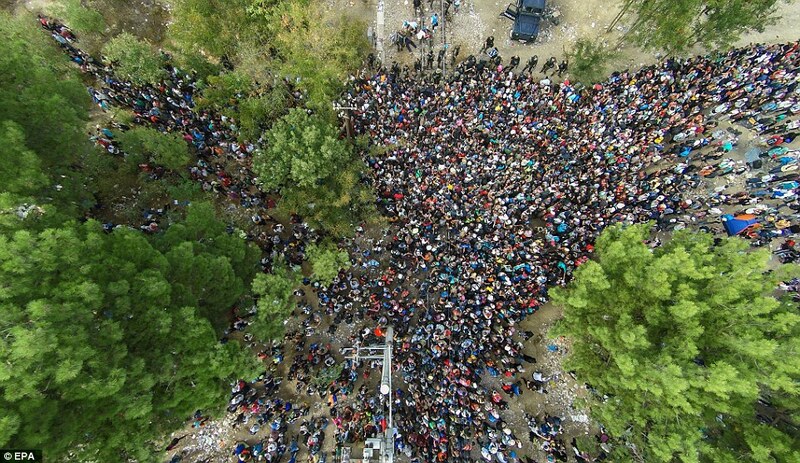 That caravan in Mexico heading to the southern border of the U.S. is NOT an immigration problem. It is a “symptom” of the immigration problem. And those symptoms will not stop, but will only increase in number and severity unless and until those responsible for making the legal immigration process responsible for ALL immigration stop picking and choosing which immigration laws to enforce and which to simply wink at and turn a back to. Who are the victims of this immigration mess we are watching in the U.S.? Honestly, EVERYONE directly and indirectly touched by illegal immigrants — and those illegal immigrants themselves — are victims of this process. Think about this: if ALL immigration into the U.S. was allowed to happen ONLY LEGALLY, how would the landscape of immigration in the U.S. look? Far different than today. Local, state, and federal law enforcement resources would no longer be dominated by concentration on illegal immigration matters. You watched the gumball video — you know the U.S. CANNOT subsidize the World and fix the economic conditions of the billions of Earth’s population who are mired in poverty by bringing them to the U.S. It is foolish for any to believe doing so is an obligation of Americans, is feasible, and remotely sustainable. It’s time for Americans to accept this one fact: we can help many in the World who have far worse life circumstances than we do. But we cannot do so for very many more than the 1 million per year we have been allowing to come to the U.S. legally. If we continue to allow it to happen, we will eventually find ourselves by sliding into economic devastation ourselves by simply exhausting our resources on others without first making certain we take care of the United States and its citizens. The book is out on whether Americans will bow up and let that reality rule the day. If you put that fact in the context of the first 150-years of United States history, it certainly would be viewed as an unbelievable paradox: “an argument that apparently derives self-contradictory conclusions by valid deduction from acceptable premises.” Just imagine how American leaders during the first century of this nation would have treated this move from the South: they would certainly have viewed it as an attempt to invade our sovereign nation, and therefore would have taken defensive actions to counter it — even military actions. In the circumstances currently controlling the U.S., what are the American options? 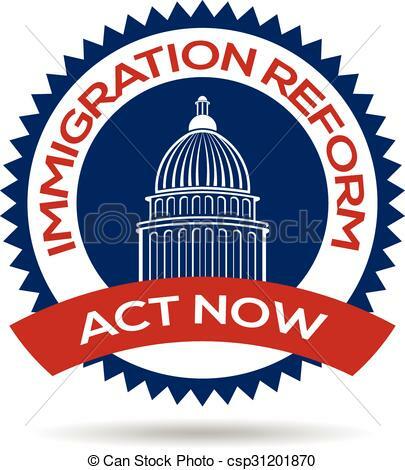 Legislatively (in Congressional emergency session) fix the immigration system. What are the ramifications and possibilities of each? What Do We Do? Senator Bernie Sanders in 2015: “When you have 36 percent of Hispanic kids in this country who can’t find jobs, and you bring a lot of unskilled workers into this country, what do you think happens to that 36 percent of kids who are today unemployed? Fifty-one percent of African-American kids? I don’t think there’s any presidential candidate, none, who thinks we should open up the borders,” said Sanders. Senator Chuck Schumer when asked his stance on changes in immigration: “I support further securing our borders; prohibiting hiring of undocumented immigrants by requiring job applicants to present a secure Social Security card; creating jobs by attracting the world’s best and brightest to America, and keeping them here; requiring undocumented immigrants to register with the government, pay taxes, and earn legal [status or face deportation. ]” Source: League of Women Voters 2010 Candidate Questionnaire , Aug 11, 2010. Senator Schumer’s 2010 stance on Sanctuary Cities and regulation of Immigration: “To create a reserve fund to ensure that Federal assistance does not go to sanctuary cities that ignore the immigration laws of the United States and create safe havens for illegal aliens. The border wall opinions of Dems including then-Senator Obama: As a senator, Barack Obama once offered measured praise for the border control legislation that would become the basis for one of Donald Trump’s first acts as president. “The bill before us will certainly do some good,” Obama said on the Senate floor in October 2006. He praised the legislation, saying it would provide “better fences and better security along our borders” and would “help stem some of the tides of illegal immigration in this country.” Obama was talking about the Secure Fence Act of 2006, legislation authorizing a barrier along the southern border passed into law with the support of 26 Democratic senators including party leaders like Hillary Clinton, Joe Biden, and Chuck Schumer. When one reads the above bullet points from America’s recent political past regarding illegal immigration, it is impossible to believe this entire story is NOT setup strictly for political purposes. At this point, it is fruitless to point fingers to place blame on who is responsible for the obvious travesties that have been perpetrated in the American immigration system. What we need are some REAL answers, REAL plans, and REAL implementation with REAL accountability. It IS safe (and accurate) to say that illegal immigration laws and their lack of enforcement can be put at the feet of Presidents Obama, Bush 43, Clinton, Bush 41, and Reagan. These presidents during the collective 28 years of their presidencies each claimed an intense desire and commitment to tackle illegal immigration during their administrations — NONE DID SO. They each were against illegal immigration during campaigns for initial election but did nothing to stop it during their administrations. The answer to that question is simpler than you may think: the only ones that CAN do anything about it are those in the United States Congress — unless you toss the Justice Department into that basket with Congress. You see, there are plenty of immigration laws on the books that previous congresses have passed and were signed into law. The exclusive problem at our southern border is a product not of just laws, but the enforcement of existing laws. The Justice Department is woefully inadequate in the enforcement of U.S. immigration laws. The hands of border patrol agents are tied; ICE agents are prohibited from taking all actions necessary to seal the southern border and bring offenders to justice for illegal entry; illegals have learned (primarily from smugglers) that U.S. border immigration courts are covered up with cases and that those courts cannot possibly process all illegal crossing perpetrators, which means those waiting for court dates are allowed into general population in the U.S. and are seldom prosecuted later. Congress refuses to provide the necessary funding to even make a dent in the illegal immigration problem that initiates at our border with Mexico. There are not nearly enough Border Patrol agents, ICE agents, immigration courts and immigration judges, holding and detention centers for illegals while they are processed, and the “big one:” funds to build the border wall. Congress can do all of the above. And this President has given Congress the framework for an immigration bill that would do ALL of the above. But apparently, there are not enough members of Congress — Republican and Democrat — who have the political will to support President Trump in doing what he promised voters during his campaign and that American citizens largely support: stop illegal immigration by first closing our southern border. A BORDER WALL! Globalization was supposed to tear down barriers, but security fears and a widespread refusal to help migrants and refugees have fuelled a new spate of wall-building across the world, with a third of the world’s countries constructing them along their borders. When the Berlin Wall was torn down a quarter-century ago, there were 16 border fences around the world. Today, there are 65 either completed or under construction, according to Quebec University expert Elisabeth Vallet. From Israel’s separation barrier (or ‘apartheid wall’ as it is known by the Palestinians), to the 2,500-mile barbed-wire fence India is building around Bangladesh, to the enormous sand ‘berm’ that separates Morocco from rebel-held parts of Western Sahara – walls and fences are ever-more popular with politicians wanting to look tough on migration and security. In July, Hungary’s right-wing government began building a four-meter-high (13 feet) fence along its border with Serbia to stanch the flow of refugees from Syria, Iraq, and Afghanistan. ‘We have only recently taken down walls in Europe; we should not be putting them up,’ was one EU spokesperson’s exasperated response. Three other countries – Kenya, Saudi Arabia, and Turkey – are all constructing border fences in a bid to keep out jihadist groups next door in Somalia, Iraq, and Syria. Seven miles of the barrier have already been erected along the border at Reyhanli town in Hatay province – the main point for smuggling and border-crossing from Syria – the private Dogan news agency said. The fence in Turkey will eventually stretch for 28 miles along a key stretch of its border with Syria. But the Turkish wall pales into insignificance when compared to the multi-layered fence which will one day stretch 600 miles from Jordan to Kuwait along Saudi’s border with Iraq – a line of defense against ISIS. There is no doubt that border walls do not absolutely stop those who live on one side wanting to get to the other side. And somehow some will always be successful. But when one objective considers that 65 countries either have or are building walls on their borders to stop illegal entry into their countries, there are obvious reasons and benefits for governments and their citizens to spend the huge national resources necessary for doing so. No doubt the U.S. border with Mexico presents tremendous security challenges, and that a traditional brick-and-mortar wall does not make sense for part of that border. But a significant portion of it (according to experts) could be closed with a traditional wall. And that in combination with electronic surveillance and aviation security measures that are available, the U.S. could basically shut down the border and begin to improve our existing legal immigration process to better serve legal immigrants AND the American citizens already here. Illegal Immigrants are granted a 12-month window to “get legal.” That “get legal” means this: they voluntarily register themselves and any family members with U.S. Immigration or Homeland Security. This registration is simply the demographic and identity details for application into this “get legal” program. Upon registration, they will then begin a formal “revised” 5-year application for U.S. citizenship. This process includes the current requirements for citizenship plus a penalty payment of $2500 per illegal family member to be paid during this 5 year period along with normal income taxes due to federal, state, and local municipalities as applicable. To be accepted into this program, they must provide proof of employment sufficient to support all those who are part of each application. Upon completion of this process, each is eligible for U.S. citizenship on the same basis as those who have entered the U.S. legally who go through the normal immigration process. If any registrants do not complete the process including payment of the penalty payment, they will immediately be processed for deportation and will not be eligible for re-entry into the U.S.
“Dreamers” (who are those who were brought here illegally by their parents) will be given a similar opportunity: they will receive a 12-month window to “get legal.” They will go through the same 5-year application process for U.S. citizenship but will not be obligated for payment of a penalty. Upon completion of this process, each is eligible for U.S. citizenship on the same basis as those illegals above and also those who have taken the path of legal immigration. If any Dreamers do not complete the process they will immediately be processed for deportation and will not be eligible for re-entry into the U.S.
Any illegals that fail to register in this immigration process during the 12-month period will be as they are identified processed for deportation immediately and will not be eligible for re-entry into the U.S.
Any illegals that do NOT complete the 5-year application process will be immediately processed for deportation and will not be eligible for re-entry into the U.S. This process applies to ALL illegals, including men, women, and children. After the initiation of this program, any U.S. employer who employs any illegals who do not have proof of entry into the 5-year application process will be assessed a $25,000 fine per illegal in their employment. A second offense of such carries a $50,000 fine per illegal. Third offense and any subsequent offense carries a $100,000 fine per illegal and termination of their Federal Tax ID Number, which is required for businesses to operate legally in the U.S. This system will be costly. But after a burdensome startup, revenue generated from legalizing these immigrants, getting them into the system in which they pay taxes, work and create legitimate income that goes into the U.S. economy, financial benefits will more than take care of the startup expense. While U.S. Immigration will be charged with overall supervision of the program, this will be implemented and managed at the state level. Funds for doing so will come through federal block grants to the states. Each state’s immigration issues are not identical to other states, therefore states know better how to manage this process than the federal government. Any state found to be non-compliant with any and all process guidelines that must be in this program will not only lose their block grants but will be subject to further financial penalties in other monies paid to them by the federal government. That caravan full of illegals headed from Central America through Mexico to the U.S. prompted this story today. Have you wondered who is “driving that ship,” who is funding the 5000-7000 immigrants for that 2000-mile journey? Think about this: they all must eat, they all have biological functions that must be met, (primarily bathroom obligations) there are many children in the entourage and medical necessities along the way. SOMEONE IS FOOTING THE BILL! A good bike rider could travel 50 miles per day. Walking, an aggressive goal would be 20-25 miles per day. At that rate, the caravan can be expected to arrive at the nearest point of the southern U.S. border in 50-60 days. If there is an expectation of funders of the caravan of any significant border-conflict situation to occur before or during those midterm elections set for 13 days from today, there is no way that will be accomplished. There must be some other reason or reasons for this caravan (and the other one that has just formed behind the first). You know what: there are probably a dozen possibilities for the reasons and the timing for this caravan’s move north. Sadly, I seriously doubt that any of those reasons are legitimately to help Central and South American immigrants escape dangerous and unbearable circumstances in the countries they are coming from. They have been sold a pipedream of a “land of honey” in the U.S. where there is a government with open arms that will not only take them in, but house them, feed them, medicate them, educate them, and pay them to live in America. Who could be painting such a rosey picture for those immigrants? It could be smugglers, human traffickers, and drug cartels who see these immigrants as goods to be traded and targets, too. It could be rogue branches of governments from those countries who are using the pie-in-the-sky dream of the “easy life” to get rid of many of their poor and possible criminal citizens. It could be members of the Mexican and Central American immigration specialists who see the U.S. as a hot-bed of financial opportunity for Latinos and who know American laws are certainly going to be changed or at least tightened up in the Trump Administration. And they see their honey-pot of fortune about to be shut down. Whoever the source and whatever their reason, you can bet they are not driven by trying to give those immigrants to a better life as their motives. What’s saddest in this entire story is it is doubtful that anyone in the United States that is in anyway supporting this caravan that on its own is putting the lives of thousands of immigrants at risk everyday is doing so for the purpose of helping these immigrants. Sadly, the greed of human nature is driving this boat. Also sadly, the reason the American border after 28 years of presidents who each had a good opportunity to fix this issue (and who at some point in their administrations had the legislative support to do so) did not take care of the problem. That’s not an immigrant problem. That problem is purely an American political problem. And it is certainly politically driven — as is almost everything of importance in Washington. It’s certainly NOT “government of the People, by the People, and for the People.” It’s for political POWER! Question: Are you Better Off Today Than Two Years Ago? As we approach the 2018 Mid-Term elections, the answer to that question is the only ones that should matter to Americans as they go to the polls to determine who will represent us in Congress the next two years. Regardless of what political pundits think and say, Donald Trump is NOT on the November 6th ballot. But what IS on the ballot are determinations of the success or failures of those in Congress during the first two years of the Trump Administration to work with the President to accomplish his legislative agenda. 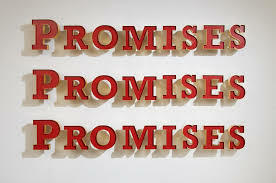 The policies contained in that agenda were those given as promises that would be fulfilled if voters sent him to D.C. Voters took him at his word. Did members of Congress? That’s the question voters must answer before they vote to either replace or return current members of Congress to their jobs. I’m not here today to promote any candidates: Democrat or Republican. What I AM here today is to promote progress — progress toward fixing each of the broke systems in American government. Our government is TOO big, TOO political, TOO oppressive, and TOO costly. Our government reaches far too deeply into the everyday lives of Americans. George Orwell’s book told a story about “Big Brother” than many laughed about, “That will never happen in the U.S.!” Orwell hit the nail on the head. Government bureaucracy is stifling the life from America. I will say this: Candidate Donald Trump made significant promises while campaigning. Almost every Democrat — including the 44th President of the U.S. — scoffed and ridiculed Trump for made promises. Obama famously on one nighttime comedy show laughed at Trump insinuating Trump would NEVER be President. It was the spirit of that ridicule shared by almost the entire group of liberals in America that turned-on the light in fly-over country. Blue collar working Americans realized something: for the first time in the last few decades, there was someone who had a history of really getting a lot of good things done who wants to go to Washington and “fix it!” Those Americans created the Trump Presidency with their votes. Most Americans from that “fly-over” region of the country feel pretty good about what Trump has accomplished. They know that there would be MUCH more success to discuss if Congress had supported the President in his quest to fulfill his promises to Americans. Those Americans will choose who they want controlling D.C. in a few days. Let me help you with that answer: Listed here are 289 Trump achievements for America since January of 2017. You’ll probably be shocked at how long this list is. The article is long — longer than normal. But it’s full of FACTS. Feel free to download this story, copy and paste. Share it with everyone you know. Asian-American unemployment at a record low of 2 percent. Women’s unemployment recently at the lowest rate in nearly 65 years. The rate for disabled Americans recently hit a record low. Wages up in August at their fastest rate since June 2009. The median income for Hispanic-Americans rose by 3.7 percent and surpassed $50,000 for the first time ever in history. NFIB’s small business optimism index broke a 35-year-old record in August. Increased exemption for the death tax to help save Family Farms & Small Business. Cut dozens of special interest tax breaks by closing loopholes for the wealthy. 9 in 10 American workers are expected to see an increase in their paychecks thanks to the tax cuts, according to the Treasury Department. More than 6 million American workers have received wage increases, bonuses, and increased benefits thanks to tax cuts. The signed Right-to-Try legislation, expanded health care options for terminally ill patients. Let more employers form Association Health Plans, enabling more small businesses to join together and affordably provide health insurance to their employees. Led two National Prescription Drug Take-Back Days in 2017 and 2018, collecting a record number of expired and unneeded prescription drugs each time. Agreed to work with the European Union towards zero tariffs, zero non-tariff barriers, and zero subsidies. Negotiated a historic U.S.-Mexico-Canada Trade Agreement to replace NAFTA. The recent deal with Mexico included new improvements enabling food and agriculture to trade more fairly. The recent agreement with the E.U. will reduce barriers and increase trade of American soybeans to Europe. Canceled Obama’s anti-coal Clean Power Plan and proposed the Affordable Clean Energy Rule as a replacement. The United States is now the largest crude oil producer in the world. The U.S. has become a net natural gas exporter for the first time in six decades. An executive order preventing those in the U.S. from carrying out certain transactions with the Venezuelan regime, including prohibiting the purchase of the regime’s debt. More than a dozen American hostages have been freed from captivity all over the world. A new strategy on national biodefense, which better prepares the nation to defend against biological threats. The administration has announced that it will use whatever means necessary to protect American citizens and servicemen from unjust prosecution by the International Criminal Court. Encouraged the North Atlantic Treaty Organization (NATO) allies to increase defense spending to their agreed-upon levels. Signed the VA Choice and Quality Employment Act in 2017, which authorized $2.1 billion in additional funds for the Veterans Choice Program. Worked to shift veterans’ electronic medical records to the same system used by the Department of Defense, a decades-old priority. Increased transparency and accountability at the VA by launching an online “Access and Quality Tool,” providing veterans with access to wait-time and quality of care data. Several years ago I spent several months on business in Switzerland, Germany, Austria, and northern Italy with a short stop in Southeast Asia. I have not been much of a world traveler, so much of the differences of culture in Europe and Malaysia impacted me — at least initially — the way one would expect. But what was common among all those countries was the way European and Malaysian natives viewed immigrants — especially refugee immigrants from the Middle East and Northern Africa — who are primarily Muslim. I know: discussing religious issues — especially regarding Muslims — is a faux pas and journalists should not do that. But it is time for us to become objective, honest, and serious about immigration. Do we have an illegal immigration crisis in the U.S.? It depends on who you ask. First, it is important to remember during this conversation that the U.S. annually allows more legal immigrants into our country than do all the other countries in the world COMBINED. That number is 1 million per year. Illegal immigration is a totally separate matter. Congress’s inaction on the matter so far can be blamed on (at least one party’s) identity politics and its elitist political agenda. That agenda has NOTHING at all to do with illegal immigrants and what’s best for them OR the United States. It’s partisan rather than humanitarian. Who can forget the back-and-forth during the first year of the Trump Administration when Congress was supposedly poised to consider the southern border illegal immigration crisis? The fake news pictures showing illegal immigrant children being held in cages were passed around among different news outlets to whip up the emotions of Americans to hopefully result in an open-border policy being implemented. Later it was revealed those pictures of caged children were NOT taken during this presidency but during Obama’s tenure in office. We have written extensively about the critical nature of restructuring our immigration system and the necessity to craft new laws and/or amend old laws to end the horrors experienced by those immigrants in getting to the U.S. and their ill effects. Those effects impact every sector of America, including economics, education, medical, social, and labor. NOT making corrections in immigration law is no different than NOT tackling problems in any other area of public life: Congress should recognize the problem, devise a fix, implement the fix and make sure it works, or watch the beginning of a slide of the U.S. backward. Is this a cowardly or fear-driven concern? Absolutely not. While it is true that the United States is the wealthiest, strongest, and most powerful nation on Earth, the U.S. does not have the unlimited resources that are necessary to perpetuate the flow of illegal immigration into the U.S. Allowing it to continue as-is puts us on the path toward certain destruction. For some European countries (and a couple in Southeast Asia), their citizens are standing watch as immigration — primarily from North African and Middle Eastern countries — are tearing their countries apart. Under Angela Merkel’s watch, her country — Germany — has welcomed more than 1 million immigrants on the basis of a real humanitarian crisis. Most of those who have come to Germany are Muslim. And most of those have refused to assimilate into German culture in any meaningful way. That has created mountains of problems in the national sectors mentioned above. “Yesterday, at the hospital, we had a meeting about how the situation here and at the other Munich hospitals are unsustainable. Clinics cannot handle the number of migrant medical emergencies, so they are starting to send everything to the main hospitals. Many Muslims are refusing treatment by female staff, and we women are now refusing to go among those migrants! “So, cure them here yourselves!” So the police are not just guarding the clinics and hospitals, but also the large pharmacies. Until now, the number of unemployed in Germany was 2.2 million. Now it will be at least 3.5 million. Most of these people are completely unemployable. Only a small minimum of them have any education. What is more, their women usually do not work at all. I estimate that one in ten is pregnant. Hundreds of thousands of them have brought along infants and little kids under six, many emaciated and very needy. If this continues and Germany re-opens its borders, I am going home to the Czech Republic. Nobody can keep me here in this situation, not even for double the salary back home. I came to Germany to work, not to Africa or the Middle East! Even the professor who heads our department told us how sad it makes him to see the cleaning woman, who has cleaned every day for years for 800 euros and then meets crowds of young men in the hallways who just wait with their hands outstretched, wanting everything for free, and when they don’t get it they throw a fit. I really don’t need this! But I am afraid that if I return home, at some point it will be the same in the Czech Republic. If the Germans, with their systems, cannot handle this, then, guaranteed, back home will be total chaos…..
You – who have not come in contact with these people have absolutely no idea what kind of badly behaved desperados these people are, and how Muslims act superior to our staff, regarding their religious accommodation. For now, the local hospital staff has not come down with the diseases these people brought here, but with so many hundreds of patients, every day of this is just a question of time. In a hospital near the Rhine, migrants attacked the staff with knives after they had handed over an 8-month-old on the brink of death, who they’d dragged across half of Europe for three months. The child died two days later, despite having received top care at one of the best pediatric clinics in Germany. The pediatric physician had to undergo surgery and the two nurses are recovering in the ICU. Nobody has been punished. The local press is forbidden to write about it, so we can only inform you through email. What would have happened to a German if he had stabbed the doctor and nurses with a knife? Or if he had flung his own syphilis-infected urine into a nurse’s face and so threatened her with infection? At a minimum, he would have gone straight to jail and later to court. With these people so far, nothing has happened. Let me set the record straight: I am NOT anti-Muslim. I am NOT Islamophobic. I am for LEGAL immigration. So what’s wrong with this German immigration issue? German political leaders did NOT think through what such a flood of immigrants would do to its thriving infrastructure. Think about it: planning for certainties is one thing, but planning for UN-certainties is more important. Germany’s leadership in error assumed that North African and Middle Eastern immigrants would be much like Germany’s own citizens — would have the same or similar work ethic, social culture, desire to assimilate with others, respect for authority and the rights of others, etc. How wrong they were! Germany’s immigration crisis began two years ago and remains unsolved to this day. The conditions for German citizens remains just as dangerous and dire as they were when the above letter was written. Angela Merkel has been unable to initiate an effective process to handle this crisis. And it is destroying Germany’s social, financial, medical, and political systems. How is that different from U.S. immigration? The greater consumption of welfare dollars by immigrants can be explained in large part by their lower level of education and a larger number of children compared to natives. Over 24 percent of immigrant households are headed by a high school dropout, compared to just 8 percent of native households. In addition, 13 percent of immigrant households have three or more children, vs. just 6 percent of native households. A miner operates a secret gold mine out in the country next to a really shallow river. The only way he can transport the gold that he mines to market is down that river. Everything goes well for a few months. But one day as he rows his heavily loaded boat up the river to market, he sees water pouring into the boat from below. The boat takes on water at an amazing rate and bogs down on the bottom of the shallow river. He cannot get his gold to market that day. The next day, the miner tries again. This time he does not even get as far up the river as the day before. Holes in the boat quickly fill it with water and it bogs down again. The miner secretly tells his friend about his mine and how successful he has been at finding gold. He explains to his friend what has happened to the boat and that holes in the boat have kept him from getting to market. His friend commits to join the miner the next day so the pair can get that gold to market. They tried hard the next day. But they could not get the boat up the river to market. They tried the same thing over and over again. But after no success, the miner was forced to shut down and board up the mine and walk away — even knowing just how much gold there was in that mine. The story may seem a bit trite, but it gives a true picture of the immigration issue the U.S. is facing today. The boat represents the U.S.; the gold represents the goods and services the U.S. produces for its internal purposes as well as transporting to “market” — the rest of the World — that are sold for money to fund our internal and external operations for the good of the people. In this case, the “water” is the illegal immigrants that flood into our boat through holes in the boat. Instead of plugging the holes, we continue to deal with the water in the river instead of making certain not too much of it gets into the boat. When that happens, the boat cannot get to market, we cannot process our goods and services, and before long we’re out of a job. This really is simple: we don’t have a Muslim problem, we don’t have a Mexican problem, we don’t have a Central American problem, and we don’t have a legal immigration problem. We have far too much water in the boat that we are not prepared to handle. And that water — the flood of illegal immigrants — is running our boat aground. Let’s stop simply bailing water out of the boat. We MUST plug the holes! It has been obscene to watch Congressional committees subpoena witnesses to appear and to subpoena various government agencies for the production of documents regarding very serious investigations only to be stonewalled. Potential witnesses AND those who receive production-of-document subpoenas are NOT appearing and NOT producing those documents demanded by Congress. The Senate Select Committee on Intelligence and The House Permanent Select Committee on Intelligence are the two chief committees who have fought for testimony and documents from current and former Department of Justice employees and others which seldom see successful subpoena results. This is especially frustrating — not just for committee members, but for American citizens who expect Government to be not only responsive in providing evidence in these investigative matters, but to achieve expected results from the various investigations underway. For the seemingly nonstop obstruction of witness testimony and document production, Americans want not just answers, but results. The witness would have certain due process rights such as the right to counsel, to be advised of the nature of the charges, and to confront witnesses and compel them to appear. 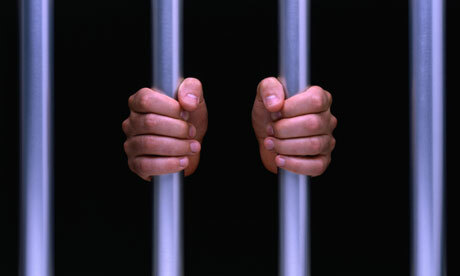 The witness could also resort to the courts, for example by seeking a writ of habeas corpus if wrongfully detained. If the dispute were over something like executive privilege, you’d expect the Executive branch to seek judicial intervention at the outset to head off the proceeding — but even then, at least Congress would get a judicial ruling on the privilege question, rather than being forced to rely simply on the Executive’s own interpretation. Concerned with the time-consuming nature of a contempt proceeding and the inability to extend punishment further than the session of the Congress concerned (under Supreme Court rulings), Congress created a statutory process in 1857. While Congress retains its “inherent contempt” authority and may exercise it at any time, this inherent contempt process was last used by the Senate in 1934, in a Senate investigation of airlines and the U.S. Postmaster. After a one-week trial on the Senate floor (presided over by Vice President John Nance Garner, in his capacity as Senate President), William P. MacCracken, Jr., a lawyer and former Assistant Secretary of Commerce for Aeronautics who was charged with allowing clients to remove or rip up subpoenaed documents, was found guilty and sentenced to 10 days imprisonment. MacCracken filed a petition of habeas corpus in federal courts to overturn his arrest, but after litigation, the U.S. Supreme Court ruled that Congress had acted constitutionally, and denied the petition in the case Jurney v. MacCracken. Following a contempt citation, the presiding officer of the chamber is instructed to refer the matter to the U.S. Attorney for the District of Columbia; according to the law, it is the “duty” of the U.S. Attorney to refer the matter to a grand jury for action. However, while the law places the duty on the U.S. Attorney to impanel a grand jury for action, some proponents of the unitary executive theory argue that the Congress cannot properly compel the U.S. Attorney to take this action against the Executive Branch, asserting that the U.S. Attorney is a member of the Executive Branch who ultimately reports only to the President, and that compelling the U.S. Attorney amounts to compelling the President himself. They argue that to allow Congress to force the President to take action against a subordinate following his directives would be a violation of the separation of powers and infringe on the power of the Executive branch. The legal basis for this position, they contend, can be found in Federalist 49, in which James Madison wrote, “The several departments being perfectly co-ordinated by the terms of their common commission, none of them, it is evident, can pretend to an exclusive or superior right of settling the boundaries between their respective powers.” This approach to government is commonly known as “departmentalism” or “coordinate construction.” Others argue that Article II of the Constitution requires the President to execute the law, such law being what the lawmaker (e.g. Congress, in the case of statutory contempt) says it is (per Article I). The Executive Branch cannot either define the meaning of the law (such powers of legislation being reserved to Congress) or interpret the law (such powers being reserved to the several Federal Courts). They argue that any attempt by the Executive to define or interpret the law would be a violation of the separation of powers; the Executive may only—and is obligated to—execute the law consistent with its definition and interpretation; and if the law specifies a duty on one of the President’s subordinates, then the President must “take care” to see that the duty specified in the law is executed. To avoid or neglect the performance of this duty would not be the faithful execution of the law, and would thus be a violation of the separation of powers, which the Congress and the Courts have several options to remedy. According to a detailed study of Congress’s contempt power by the Congressional Research Service, this inherent contempt power has long been dormant. Congress has not sought to use it since 1935, perhaps because it is too unwieldy and time-consuming or is politically unpalatable. From time to time, partisans on one side or another argue that Congress should dust off this power and start arresting witnesses for contempt on its own rather than relying on the statutory process of a referral to the U.S. Attorney. Here’s the bottom line for American citizens: as we reported in yesterday’s story and podcast, taxpayers fund the operations of Congress to the tune of $4.6 Billion a year. That number includes all of the legislative operations of the House and Senate, AND all of the other Constitutional functions relegated to the Congress — including implementation of all Constitutional and Congressionally passed laws plus (as the Constitution dictates) operational actions as agreed to by members of Congress that may be violated. Those “actions” include adherence to production and appearance according to legally issued and served subpoenas for all applicable persons. But let’s be honest about all of this: there is a multitude of federal government officials that have been and currently are under subpoena for appearances and production of documents regarding governmental operations and activities that occurred in the professional lives of those subpoenaed regarding government operations. Those documents and sworn testimony expected to occur as a result of subpoenas are necessary for the legal and just operation of the U.S. government, through its various departments and agencies. The American government has the legal right to expect adherence to the terms of those subpoenas. And those subpoenaed MUST comply. Deputy Attorney General Rod Rosenstein is supposed to appear before a Congressional oversight committee next week. Mr. Rosenstein has continuously ignored (as has the entire Department of Justice) subpoenas issued for production of documents for more than a year that are needed to show DOJ justification for the application(s) to the FISA Court for authorization to surveil through electronic measures members of the Trump Campaign, possibly including the President. On multiple occasions with the subpoena of other DOJ documents, the excuse for non-production is for “national security” reasons. Some documents HAVE been released that when released prove they were not being held for national security purposes but because of their containing embarrassing information about the DOJ, the FBI, and the CIA. 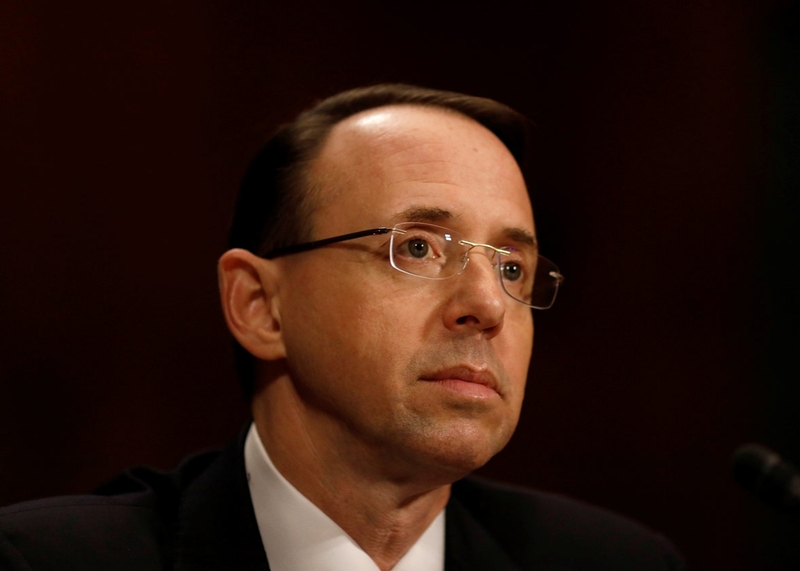 Let’s suppose that when Deputy AG Rosenstein walks into that hearing, the sergeant-at-arms hands him a subpoena that compels him to in 48 hours or less provide those other documents to Congress AND to testify under oath regarding the information confirmed by others that he discussed his personal illegal surveillance of President Trump by wearing a wire while meeting with Mr. Trump. Rosenstein has (for any number of reasons, none of which are true for national security purposes) resisted personal testimony under oath and the production of all those documents. If he refuses to appear and produce within that 48-hour window detailed in that subpoena, have the sergeant-at-arms arrest Rosenstein for “criminal contempt of Congressional subpoena,” taken to jail and jailed per federal law. “What good would that do?” You ask. It would send a message that FINALLY members of Congress have decided to stop just talking about doing their oversight job and actually DOING Department of Justice oversight! jailing Rosenstein would send a resonating message to ALL who are part of the government that Congress is no longer willing to let the “tail wag the dog,” but the “dog” — the American People — demand the enforcement of federal laws — ALL federal laws. And when those laws are broken, (like ignoring subpoenas) legal penalties for wrongdoing will be immediate and harsh. “If” members of Congress will grow backbones and simply do their jobs, Americans will finally see the truth. Americans will see just how evil the critters in the swamp really are. Maybe then the President will be finally able to start draining that swamp he promised he’d drain if he was elected.